Trends come and go, but despite a balky economy running events throughout the country have continued to experience a wave of women participants as the overall numbers in the sport show steady improvement year to year. According to Running USA, women filled 53% of event fields in 2010, men only 47%, a sea-change from the statistics found in the early years of the first running boom of the late 1970s and early 1980s. Notwithstanding this participation boom, and despite the fact that the world’s best runners have continued to produce faster and faster times at the tip of the running spear, there has been no echo boom in terms of competitive improvement in the everyday runner. Participation alone has become the mantra of the masses. But as I found out when my wife Toya began coaching local runners in San Diego this year after receiving her ACE-certification in personal training and exercise science certification from UCSD, there are still runners who have an old-school desire to seek out their limits and discover what literary critic Harold Bloom calls “the difficult pleasure”. 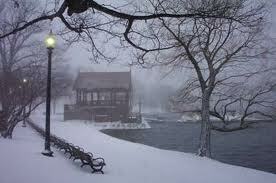 Our breath emerged in lung-heated plumes, our footfalls as soft crunches muted by freshly fallen snow. January 6, 1982, out on a 10 mile run with Bill Rodgers, long-time king of the American roads. From his eponymous store in Boston’s Cleveland Circle to Jamaica Pond, around and back was perhaps the training loop Bill had run more often than any other in his career. I’m sure he could well have run it blind-folded, such was the comfort and familiarity of those now-wintered miles. Pleased to be back into routine following the holidays, Bill admitted to getting in four solid 120 — 140 mile weeks of training through December, including a couple sharpening track workouts as he prepped for the following weekend’s Orange Bowl 10K in Florida. As it turned out Bill would run his road PR of 28:15 in Miami behind Alberto Salazar (28:03) and Greg Meyer (28:09). While lapping the 1.5 miles of Jamaica Pond three times, Bill and I fell into our traditional roles, me peppering him with questions, and he as the modest responder. As always, I carried a cassette recorder to tape our conversation for a later broadcast on my Runner’s Digest radio show. 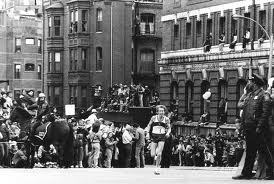 With the crunch of our footfalls as a backdrop, I asked what had he learned in 1981, given that it was the first year in seven years that he hadn’t won either the Boston or New York City Marathons. Imagine one of today’s top marathoners running 35 road races in a calendar year? Times were different, and runners like Bill were still in the blossoming stages of the money era in running, anxious to take full advantage of even modest opportunities. According to the blog Health Affairs, Michelle Obama’s Let’s Move anti-obesity campaign has become increasingly imbalanced since its launch in February 2010, with exercise losing its standing when compared to dietary considerations – Michelle Obama’s ‘Let’s Move’ Is Losing Its Footing. A year and a half after conducting a Town Hall meeting at their 2010 industry conference focused on the obesity epidemic, Running USA has yet to put in place a children’s initiative that would either compliment or coordinate with First Lady Michelle Obama’s Let’s Move, NFL’s Play 60, or NBA’s Get Fit initiatives. Though a memorandum of understanding (MOU) has been floated to create a joint RUSA, USATF Foundation, RRCA initiative, to date, no consensus has been reached on implementing that, or any other such program. She is absolutely right. Yet the passions in the sport run strong. And while that is a good thing, the existential division between road running and its default national governing body, USATF – which, given the state of that organization, shows no signs of changing – has led to a deeply rooted local event orientation, which in turn has made cross-event promotion and consensus an elusive target.